Music is a powerful thing. When you read the title about songs for grandchildren, it probably conjured up a memory of a particular song. You may even remember singing something with your grandparteent. Music has a way of bridging the gaps from our past we have long forgotten. Songs grab that memory and bring it to the surface for you to enjoy. One of my earliest memories is listening to my great grandmother sing The Itsy Bitsy Spider, complete with the finger-play that goes along with it. Although she’s been passed away for nearly 30 years, I can still hear her voice. That’s power. You might be wondering what songs to sing with your grandchildren, and I’m here to tell you it can be almost anything. You can choose traditional kid songs, pick a favorite song on the radio, or choose one from your childhood. As long as you’re having that moment with your grandchild, that’s all that matters. Do you sing off-key? Who cares? Not your grandchild. You might be tempted to grab a cd, and lip-sync to the music. I say, let them hear your voice. It doesn’t matter if it’s out of tune because your grandchild will cherish the memory of your voice for the rest of their lives. What kinds of songs are there? When choosing songs for grandchildren, you can select any kind of song you like. 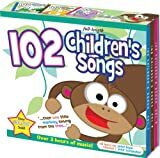 Some songs involve finger play, like “The Itsy Bitsy Spider,” songs you sing in rounds, like “Row Row Row Your Boat,” and the songs you sit and sing together. The best way to sing songs for grandchildren, though, is just to sing and enjoy your time together. How do songs help you bond? 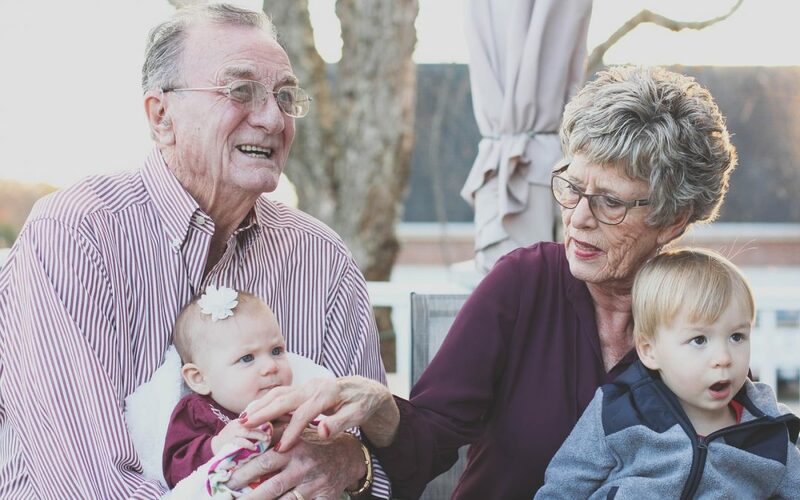 Singing a song with your grandchildren gives you the opportunity to get and hold their attention, even for a little while. With so many gizmos and gadgets to draw kid’s attention, breaking away from that can be a challenge. Music is for everyone, and the songs for grandchildren can be such a blast. Your grandchildren will love taking the time to join you in song. Even if your grandchildren are busy or distracted, bust out with I’m a Little Teapot, and they’re guaranteed to become a little teapot right along with you. 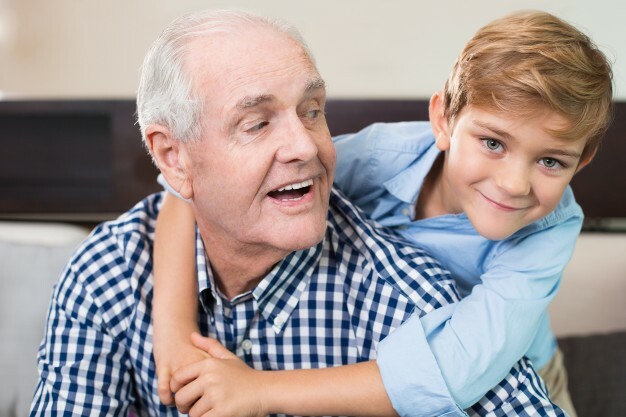 Singing songs with your grandchildren gives you the chance to laugh, share, and make memories. Aren’t those the building blocks to bond? Of course! And music does that. Are there any extras to the songs? While you can always sit and sing with your grandchildren, some of the songs can be more fun if you do the fingerplay that goes with the song. Other songs have a little dance associated with them. Even if the songs for grandchildren you choose have a dance or some choreography that goes along with them, you don’t have to add it in. The songs you wish to sing with them will be enjoyable enough on their own. You may decide to add your dances or arm movements and finger play into songs for grandchildren that don’t call for it. That’s okay! Make the experience your own, and above all, have fun. Where do you learn these songs? A lot of these songs for grandchildren, you already know. Not many people are a stranger to “Twinkle Twinkle Little Star,” or “London Bridge is Falling Down,” but you might be a little rusty. Don’t worry! Your grandchildren might already know some songs and teach them to you. They would get a kick out of that. Or you could ask your friends, or consult YouTube. On YouTube, you can see any movements to go along with the songs, so watching videos can be helpful. Remember, you don’t have to sing the songs or perform the motions like everyone else, but if you do, there are videos online to help. How do you introduce songs to your grandchild? 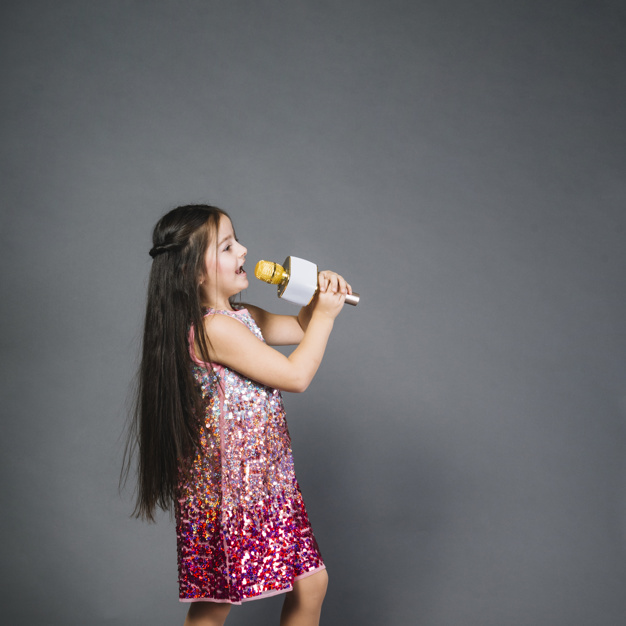 Songs need a minimal introduction because the majority of kids love to sing. Music is probably a big part of their lives already. They don’t care if they can’t carry a tune, they just belt it out loud and proud. If you’re looking for the perfect time to introduce songs to your grandchild, there isn’t any. You can sing them to bed at night, while you’re playing a game, or outside at the park. Virtually anywhere you are with your grandchild. Just start singing! They will watch you with awe, like you’re magical, and will jump right in. Singing is so easy. Anyone can do it no matter their physical state or their knowledge base. Connecting with your grandchild is the goal. Why Are These the Best Songs to Sing? These are songs that have been around for a long time and have been passed down through families as a tradition. They haven’t changed much over time, and they engage both parties who are singing, you and your grandchild. All of them are simple enough to remember, both the words and the rhythm. Even if you do have a problem remembering some words, these songs are very forgiving, add your own! It’s important to pass these songs down to future generations and make those memories of fun, song, music, and laughter. The 10 best songs for grandchildren listed below are among the best choices because they’re well-known and fun. They can be morphed to make them even more fun, and they’re easy to learn. Some of them come with extras to go along with the song, and some of them don’t. Use the extras or don’t! Add in your moves or don’t. It’s up to you, and that’s the beauty. You’d be hard pressed to find anyone who doesn’t know this tune. Adapted from a 19th-century poem, “Twinkle Twinkle Little Star” was set to music and has been passed down from generation to generation ever since. This song is especially lovely to sing together outside in the evening under the stars. Also, sang as “The Eensy Weensy Spider,” the “Itsy Bitsy Spider” has a cute little fingerplay to go along with it. The song has you playing the part of the spider, the sun, and the rain. Kids have fun trying to do the fingerplay while keeping up with the words to the song. Lots of fun for all! The origins of “London Bridge is Falling Down” are unknown (some think it has dark origins) but may date back hundreds of years. Once someone wrote down the lyrics in the 18th Century, the tune caught on. Families pass down this song, like most good traditions, and there’s a game you can play too! The game involves two people standing face to face, holding each other’s hands up to make a bridge in the center. A third person skips under and around the bridge, trying not to be caught under the bridge when it falls. “Row Row Row Your Boat,” like so many children’s songs, is a nursery rhyme put to music. It’s usually sung in rounds. When you finish the first line of the song, the next person joins in at the beginning and so on. It can be fun to try to get to the end of the song without messing up. Guaranteed for lots of laughter. This song is one of the best-known songs in America, which is funny because its verses are mostly nonsense. Maybe that’s why kids love it so much! It has a polka feel to it, so you might find yourself dancing to it, or at least slapping your knee. “You Are My Sunshine” is a beautiful song in its simplicity. There are only two verses, and it’s more of a calm down song. This song is excellent for grandchildren when they’re getting ready to go to bed or take a nap. It’s also a great way to express your love. Who doesn’t know “Old MacDonald?” The answer is everyone knows “Old MacDonald,” and what makes this such a great song for grandchildren is the animals. You sing the song, your grandchild picks the next farm animal to sing about, and everyone has fun. Be careful; this one could go on for a while! “The Farmer in the Dell” is a nursery rhyme turned song, originating in Germany, sung to the same tune as “A Hunting We Will Go.” It has about eleven verses, which sounds like a lot, but they’re mainly the same structure. Only a couple of words change in each verse, and they’re all connected. The repetition and the silliness of the song make it an enjoyable song for grandchildren and grandparents alike! You guessed it, “Pat-a-Cake” is a nursery rhyme set to music. The song, along with the hand gestures that accompany it, is probably a tradition in most families. The great thing about this simple tune is that it connects you and the baby through the song. Babies and toddlers enjoy “Pat-a-Cake,” and it’s useful in bonding. You can find this song in just about any playgroup in the world. “The Wheels on the Bus” has verses that keep you moving with gestures that are entertaining to do. It’s a versatile song you can sing with your grandchild and still have a good time, even without the gestures. If you can perform the song right along with your grandchild, all the better! Music is universal, but it’s also personal. You might have a favorite song you’d like to start singing with your grandchildren. Maybe you want to start with a song passed down to you by your parents or your grandparents. Whatever song you pick to start singing with your grandchild, you’ll be making priceless memories that will stay with them forever.